Fairfield Physical Therapy was founded with the vision of doing physical therapy the right way. Too often physical therapy becomes about how many patients can be seen in a day, not about providing the best care. Many times, therapists are required to see multiple patients at one time and are not able to spend the time required with each patient. Hands on treatment is limited and rushed with techs often overseeing the exercises. What should be skilled care often becomes an expensive gym membership. At Fairfield Physical Therapy, all patients will receive one on one care for advanced manual therapy and exercise prescription for the entire session. Come experience physical therapy performed the right way. Laurence is a Houston native and graduate of Texas A&M University. Laurence received his physical therapy degree from the University of Wisconsin-Madison. Laurence worked most of his career at Texas Sports Medicine Center (TSMC) where he treated a variety of orthopedic injuries and post operative patients. He had the unique opportunity to work with Major/Minor League Baseball players while at TSMC. He also worked with many soccer players from the Challenge Soccer Club while TSMC was their official sponsor. This allowed Laurence the opportunity to become an expert in overhead athletes and rehabbing patients recovering from ACL reconstruction surgeries. Laurence has experience working with athletes of all ages as well as weekend warriors. From professional athletes to the little leaguer. If you are recovering from surgery, a sprained ankle, back pain or any other injury, make an appointment today. In 2013, Kristen graduated from Texas A&M with her bachelors of science in Kinesiology. She then attended the University of St. Augustine in Austin, TX for her Doctorate in Physical Therapy and graduated in 2017. Kristen enjoys treating in the outpatient sports and orthopedic setting and has taken each of the manual therapy courses for spine, lower and upper extremity in hopes of one day attaining her manual therapy certification (MTC). Kristen recently completed the Sports & Orthopedic Regenerative Dry Needling course to further advance her manual techniques and increase the ability to target dysfunctional tissue. If you are experiencing any orthopedic or sports injuries and are seeking excellent quality care, contact us today! ​Chris is a native Houstonian and graduate from the University of Houston. 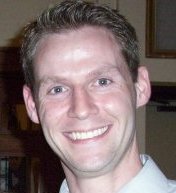 Chris completed his Doctor of Physical Therapy at the University of St. Augustine for Health Sciences in Austin, Texas. He completed all of the advance manual therapy courses in his last year of physical therapy school and is currently in an advance manual therapy fellowship through the Institute of Athletic Regeneration. Chris spent his time at Houston Methodist Willowbrook Sports Rehabilitation where he work with athletes with concussion injuries and advance orthopedic procedure rehabilitation. Chris is also a certified Performance Enhancement Specialist certified through the National Academy of Sports Medicine and a Vietnamese Martial Arts Instructor recognized the by International Vietnamese Martial Arts Federation. Chris has over 8 years of experience as a personal trainer in both corporate gyms and his own personal training company. Chris is highly skilled in working with athletes that require speed, power, and strength, post-concussion, and post-surgical rehab. It is Chris' mission to provide exceptional patient care, exceeding expectations, and delivering swift rehabilitation with the highest quality. If you are ready to get back to work, back to your sport, or back on your feet, please schedule with us today! ​​Jenny is a Houstonian that graduated from the University of Houston and graduated with her doctorate in physical therapy at the University of St. Augustine. She found her passion in orthopedic and sports and has spent most of her career in this field. Currently, she is working to further her passion in a sports and orthopedics fellowship through Institute for Athlete Regeneration . She has worked with a variety of sports and orthopedic injuries both post operatively and conservatively. Outside of therapy she has 2 black belts; one in tae kwon do and one in Vietnamese mixed martial arts.